What a bloody marvelous novel! I had the pleasant encounter with Neil Gaiman himself at the DreamHaven bookstore in Minneapolis, MN. As well a large number of people turning out to see him in person. Before seeing him in person, I've read his first major novel, "Neverwhere". Wow, it's truly the best modern fairy tale novel for adults since "Alice in Wonderland"! London came really alive to me, the above world never knew about life hidden in the under world. Literally I mean way under the above world. The characters are so fascinated and I love those two crazy killers acting like some english nobles with perverse sense of humors. Neil Gaiman is very inventive and creative with the story and based on his past stories he'd written for the comic book industry, this man is destined for greatness. I've sweared that Neil Gaiman is the modern William Shakespeare! No one have ever write the stories as well and marvelous as Gaiman...not even since James Joyce and William Shakespeare. I told Neil this and he was rather flabbergasted but it's the truth! Read the novel, then read "Stardust", then read every story Neil has ever written and you'll know that we may have a William Shakespeare for the 21st century! Oh, by the way..."mind the gap!" 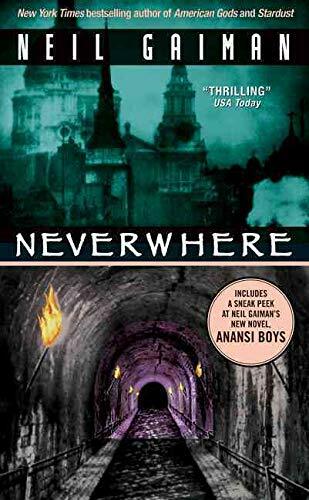 I read American Gods last year and loved it, eager to read what else the author of the fabulous "Sandman" graphic novels has written, I picked up Neverwhere and read it in a day. Here, Gaiman takes the real life "London Underground" system of subways and tube stations and adds a twist, a magical world beyond the underground, London Below where pockets of lost time and places are filled with the forgotten people of the world. London Below is a world of Baronies and Fiefdoms, of angels, beasts and killers. Richard Mayhew, a securities analyst gets drawn into this secret, invisible world when he helps what appears to be an injured homeless woman. Because of his contact with her and some of the people from her world, he slowly disappears from his own reality. It seems that most people aboveground cannot deal with the reality of London Below so they conveniently can't see them or anything they do. A classic quest follows with an interesting cast of characters. Richard and The Lady Door, together with a reprobate Marquis and a bodyguard head off through danger to find answers. You enter the world of rat speakers, sewer dwellers and secret societies. It's all very interesting and funny as well as giving the reader the occasional scare. Below is a world where nothing is what it seems and danger lurks everywhere and yet, its inhabitants seem to derive pleasure from their lives despite that. As with Gods, Gaiman weaves his mythical world into the tapestry of the "reality" of every day life and there are times when you aren't sure if what is happening is just a manifestation of Richard's insanity or not. It's a nice tension. This book will please the fantasy reader as well as those who love a good mystery. It's a worthy read. this a good book. it is reaeally good fool. It is like fantasy, but not really. it is good. it is a good book that is good and it is a book, see, it is a good book and i liked this book beacuse it was a book that was a good book that was good. Richard Mayhew, a young London businessman finds himself mixed up in the weird alternate reality of "London Below" when he rescues a strange girl named Door. He joins her and a few other denizens from London Below --- such as the (ah, hell, why not?) irrepressible Marquis de Carabbas and the rather intense Hunter --- in her search for the Angel Islington, whom Door's father told her she could trust right before he and the rest of Door's family were murdered by two henchmen named Mr. Croup and Mr. Vandemar (who were hilarious, by the way). Gaiman obviously had a lot of fun with names of tube stops and prominent places in London and with the possibilities for parallels between London Below and London Above. I loved the sense of wonder and the sense of humor in Neverwhere, though both were balanced by the sense of darkness in the story. Quintessential Gaiman. A wonderful and imaginative book. From author Neil Gaimen (Sandman, Good Omens) come this enchanting novel about a world underneath London where magic and violence reigns. The novel's hero, Richard Mayhew, is a simple man with a simple life until one day he sees a bleeding girl lying in an alley. The choice he makes to help the girl opens a whole new world to him. The very next day, Richard's life, as he knows it, has drastically changed. No one seems to know who he is. All records of his life have disappeared. His only hope is to find the girl (called Door) again and see if she can offer any explanations on why his world has turned upside down. His search for the girl leads him to a whole underground world beneath modern London where nothing is at it seems. "I am an extraordinarily lucky person, doing what I love best in the world. Im sure that I will always be a writer. It was wonderful enough just to be published. The greatest reward is the enthusiasm of the readers." --J.K. Rowling. Harry's first trip to the zoo with the Dursleys, when a boa constrictor winks at him. When the Dursleys' house is suddenly besieged by letters for Harry from Hogwarts. Readers learn how much the Dursleys have been keeping from Harry. Rowling does a wonderful job in displaying the lengths to which Uncle Vernon will go to deny that magic exists. Harry's first visit to Diagon Alley with Hagrid. Full of curiosities and rich with magic and marvel, Harry's first trip includes a trip to Gringotts and Ollivanders, where Harry gets his wand (holly and phoenix feather) and discovers yet another connection to He-Who-Must-Not-Be-Named. This moment is the reader's first full introduction to Rowling's world of witchcraft and wizards. Harry's experience with the Sorting Hat. The de-gnoming of the Weasleys' garden. Harry discovers that even wizards have chores--gnomes must be grabbed (ignoring angry protests "Gerroff me! Gerroff me! "), swung about (to make them too dizzy to come back), and tossed out of the garden--this delightful scene highlights Rowling's clever and witty genius. Harry's first experience with a Howler, sent to Ron by his mother. The Dueling Club battle between Harry and Malfoy. Gilderoy Lockhart starts the Dueling Club to help students practice spells on each other, but he is not prepared for the intensity of the animosity between Harry and Draco. Since they are still young, their minibattle is innocent enough, including tickling and dancing charms. Ron's attempt to use a telephone to call Harry at the Dursleys'. Harry's first encounter with a Dementor on the train (and just about any other encounter with Dementors). Harry's brush with the Dementors is terrifying and prepares Potter fans for a darker, scarier book. Harry, Ron, and Hermione's behavior in Professor Trelawney's Divination class. Some of the best moments in Rowling's books occur when she reminds us that the wizards-in-training at Hogwarts are, after all, just children. Clearly, even at a school of witchcraft and wizardry, classes can be boring and seem pointless to children. The Boggart lesson in Professor Lupin's classroom. Harry, Ron, and Hermione's knock-down confrontation with Snape. Hermione's disgust at the reception for the veela (Bulgarian National Team Mascots) at the Quidditch World Cup. Rowling's fourth book addresses issues about growing up--the dynamic between the boys and girls at Hogwarts starts to change. Nowhere is this more plain than the hilarious scene in which magical cheerleaders nearly convince Harry and Ron to jump from the stands to impress them. Viktor Krum's crush on Hermione--and Ron's objection to it. Hermione's creation of S.P.E.W., the intolerant bigotry of the Death Eaters, and the danger of the Triwizard Tournament. Add in the changing dynamics between girls and boys at Hogwarts, and suddenly Rowling's fourth book has a weight and seriousness not as present in early books in the series. Candy and tickle spells are left behind as the students tackle darker, more serious issues and take on larger responsibilities, including the knowledge of illegal curses. Harry's outburst to his friends at No. 12 Grimmauld Place. A combination of frustration over being kept in the dark and fear that he will be expelled fuels much of Harry's anger, and it all comes out at once, directly aimed at Ron and Hermione. Rowling perfectly portrays Harry's frustration at being too old to shirk responsibility, but too young to be accepted as part of the fight that he knows is coming. Harry's detention with Professor Umbridge. Rowling shows her darker side, leading readers to believe that Hogwarts is no longer a safe haven for young wizards. Dolores represents a bureaucratic tyrant capable of real evil, and Harry is forced to endure their private battle of wills alone. Harry and Cho's painfully awkward interactions. Rowling clearly remembers what it was like to be a teenager. Harry's Occlumency lessons with Snape. A Great and Believable Sci-Fi Love Story. I am not an avid reader by any means, but the premise of this book really caught my attention. The love between the main characters Clare and Henry was very well laid out throughout this novel. The happiness in finding one another, the acceptance of a guy who travels thorugh time uncontrollably, and the never ending tension that arises when Henry disappears for hours or days at a time. The only thing that kept 5 stars from being put on my review, is the overwhelming sadness throughout the book, that at times was making you think "What could possibly go wrong NOW?" I am all for a good drama, but at times the multitude of doom and gloom was a bit too much to bear. Good thing some humor was sprinkled throughout the book though to balance these macrabre occurances out. All in all, though, a great read! This is a truly a masterpiece. The characters and the plot is simply astounding. It tells a story about the lives of two people through a series of episodes. I found this book entertaining, and a good book to pick up on a rainy afternoon. Any day as a matter of fact. A wonderful journey, which is recommended for anyone to enjoy.Also recommended is "Don't Call That Man", and "He Never Called Again". 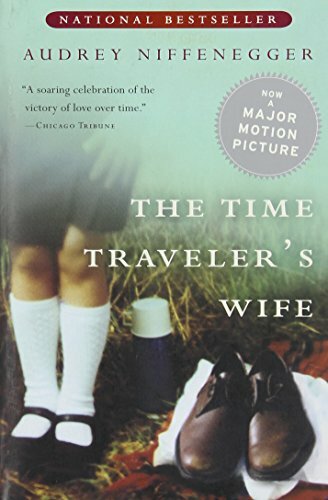 Back to the book, "The Time Traveler's Wife", read it, it's quite fascinating. At first I wanted to put this book down becuase it seemed too insipid and a waste of time for over 500 pages. After I got into it, I finished it in a matter of days. The author is able to let you get to know the characters while living a far fetched science fiction story that you actually believe. A great read for a summer beach vacation. This is such an amazing book! This is not the type of novel I would usually pick up, however after hearing how great it was I decided to give it a try. I can't stop thinking about this story. The characters will haunt you long after you have finished. The final volume in the New York Times best-selling saga of civil war and chaos in the darkest part of the Forgotten Realms setting. This latest title drives the civil upheaval among one of the most popular races in the Forgotten Realms setting to its epic conclusion. Several of the previous titles in this series hit the New York Times best-seller list upon initial release. Best-selling author R.A. Salvatore wrote the prologue to Resurrection and consulted on the series, lending his expertise as the author who brought drow society to the forefront of the Forgotten Realms setting. "The Hitchhikers guide is the greatest book of all time..."
Above is a quote directly from the novel. The book follows Arthur Dent, an Englishman, or former Englishman I should say as the Earth has just been destroyed to create a galactic bypass, and his Betlegeuseian friend Ford Prefect as they traverse the galaxy with their supplies: a towel(the most widely useful object ever to be invented) and of course the fabulous Hitchhikers Guide to the Galaxy, a book in the form of a computer because if it were in regular page form, the carrier would have to lug around seven inconveniently sized buildings full of paper. The pair meet wierd aliens, robots, and other creatures. Don't be confused at first with the names: Zaphod Beeblebrox, for example, is a main character who's name you'll easily catch on to. This book is just flat out hilarious. It's Brazil (the 1984 spoof, not the country) meets Star Wars. 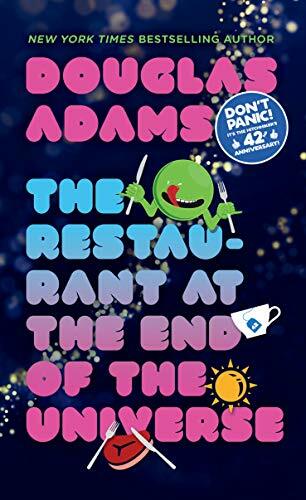 Douglas Adams is more or less the master of confusing but hilarious plot as well as dialouge. Now, I'm not just writing this review because I love all sci-fi books. In fact, I read very few, about 20%, sci-fi books, although I still like the genre. So you can see I'm not a Die Hard sci-fi comedy fan. This book is extremely funny. Adults as well as children (teenagers really) will find the material and dialouge side splitting. 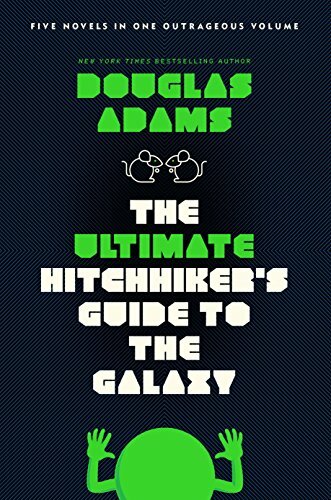 I picked A Hitchhiker's Guide to the Galaxy off of a list of classic novels or something like that, having no idea who Douglas Adams was or how significant the book was. I was pleasantly surprised, and now know where several popular phrases originated. The book begins with humanoid Arthur Dent waking up and finding a bulldozer in his yard about to demolish his house to make room for a highway. Arthur is understandably upset, but this doesn't really matter considering the fact that unbeknownst to the human race, earth is about to be destroyed to make room for a hyperspace bypass. Arthur is rescued from the fate of earth by his friend Ford Prefect, who it turns out is an alien who knows how to hitch rides on spaceships. With their jump into space, Arthur and Ford are launched into a round of interstellar escapades, accompanied by the egotistical but lovable Zaphod Beeblebrox, his girlfriend Trillian (who happened to have come from earth), and Marvin, the perpetually dismal android with a "brain the size of a planet". 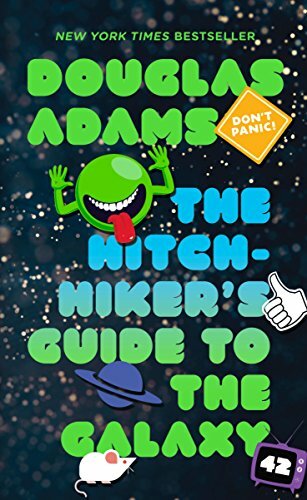 A Hitchhiker's Guide to the Galaxy makes an interesting combination of two genres- science fiction and comedy- and it works marvelously. The plots moves along quickly, making it an easy read, and also providing opportunities for multiple readings to catch all the humor. A Hitchhiker's Guide is imaginative, witty, and in places downright hilarious. In addition to this, the writing is very intelligent without being overbearing; the book gently prods at several of our own silly social conventions in a comical and lighthearted way. 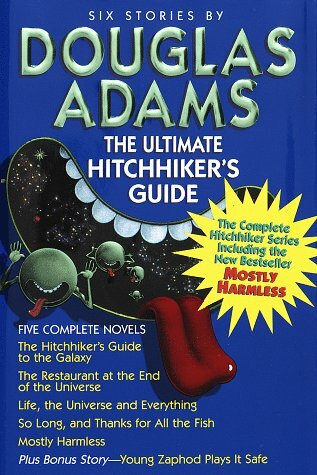 A Hitchhiker's Guide was a delightful read, and I heartily recommend it- to sci-fi lovers and non. One word of advice; don't waste precious mental energy trying to understand how an Infinite Improbabily Drive works, or any of the many other gadgets in the book, because this isn't the sort of book where it matters whether you understand how things work or not. I realized about a quarter of the way through the book that I was taking things much too seriously and that the ludicrous descriptions were placed there mostly for comic effect. With Douglas Adams it really doesn't matter if your a miserable old bat who hates fiction or a fun loving freak who loves it; his books can appeal to all. They have a bit of everything in them, a bit of sci-fi, a bit of nature conservation, a little bit of adventure and LOTS of humor. They even have the nice little moral at the end to boost up your spirits when you finish the book. I first found this book years ago and I'm still unable to figure out how i lived without it. the seqeuls and other books that come next in the series are just as fun and Adams has managed to spread his wit evenly out throughout the whole series. any other author would've given up and returned, mentally exhausted, to dry writing after the first page. The characters are original and fun, the scenery and setting ever-changing, the plot dances around and the dialogue will leave you in tears. Marvin the Paranoid Android ended up being one of my favoirte characters, as did the Vogons and psycologists, and their unique outlooks on life and 42 are new. Just came off reading the Dune series & needed a bit of a break. And this book provided a perfect, entertaining read. I had planned on reading only the first in the series before embarking on Neal Stephenson's Quicksilver jouney. But now, I plan to read the remaining four in this series first. An art-filled sourcebook about aberrations in the D&D world. Codex Anathema: The Book of Aberrations takes a comprehensive look at the most bizarre monsters of the D&D world, and the heroes who fight them. 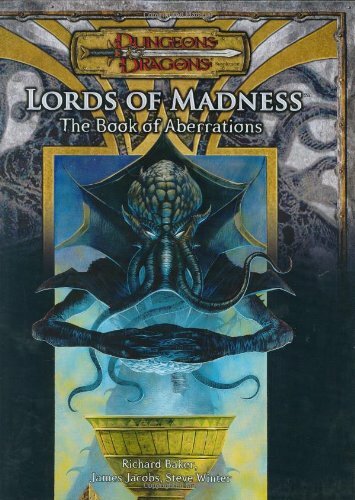 It provides detailed information about beholders, mind flayers, aboleths, and other popular aberrations, while also introducing several new aberrations. In addition, this book provides new rules, feats, tactics, spells, and equipment for characters that hunt aberrations. Extensive story and campaign elements and flavor information add interest and dimension to playing or fighting creatures of this type. The book itself features a prestige format, with heavy use of art throughout and a full-painted cover. Every may, i wait for the newest book in the series.this book is full of surprises and funny and full of "Sookieisms"she once again saves the day, and her friends.This book deals with mostly the shifters.for any bill fans, well... maybe next book? cause he doesnt have a big part.the Weres are back including the big strong alcide. all in all it was pretty great. it left me wanting more. Oh, Sookie - You've ruined me for the other vamp novels! This is book number 5 in the Sookie Stackhouse series.If you're just picking up this series, begin at the beginning and read everything!You won't regret it. 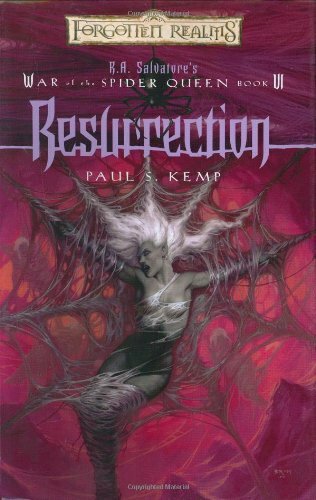 My biggest complaint is that I love this series so much that now no other vamp novels will do.Now, I love some Laurell K Hamilton and LA Banks vampire executioner/huntress novels.But, their shake you by the shoulders, screaming "GOOD vs. EVIL!" style is a bit like that overbearing cousin you avoid at family reunions when you compare them to Harris' laid-back, subtler style (your favorite ex-hippie uncle).I'll bide my time with the other novels, but I'd rather Harris just wrote a new novel every week to keep up with my reading needs. So, Sookie Stackhouse, is not the chosen one or the most powerful of anything, which makes her a wonderfully sympathetic character for me.She is a working-class waitress in a small Southern town doing her best to ignore her unwanted disability - telepathy.Being a mind-reader is no picnic. Imagine knowing that, despite what your best friend says, she really believes that your new haircut makes you look like a cow.You can see the problems.But this ability has also given her entrance into a whole underground culture of supernaturals: vampires, werewolves, witches, and fairies. This installment is more complex than earlier novels because it contains multiple storylines - the murder mystery, the werewolves, the bad vampire boyfriend, Sookie's varied, but tasteful, love life, and, hey, what's with the fairy godmother?I enjoyed all of it.I have a small complaint about the murder mystery.I knew who one culprit was in the first 30-40 pages of the book.It's not too difficult to tell.Let's see Arlene has been all the books, so has Sam. Eric and Bill are obviously long-running characters, but, hey, I've never seen this character before. It's an ongoing problem with murder mysteries.New characters are either cannon fodder or killers.That niggling little worry aside, I would still say this book is 100% worth reading.Way to go, Sookie!When can I have novel 6? There is a character that has endeared us to him - Bubba - He is a vampire whose transition to vampire went awry - he isn't all there and loves cat blood...but he can sing great!!! He used to be a famous singer out of Memphis that people have been spotting at the Burger King!!! What a great addition to the cast of characters!! We know who Bubba was, but don't say his REAL name! 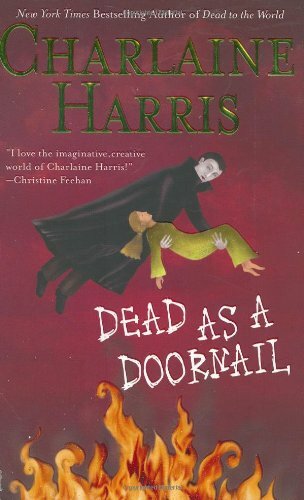 Ms. Harris is a wonderful writer and continues Sookie's adventures into the paranormal with ease and makes them real. Who wouldn't want to have a fling with Eric??? Parting comments - buy the whole series if you haven't done so yet, or keep enjoying Sookie and friends with her fans. Sookie Stackhouse is a telepathic waitress in the small town of Bon Temps, Louisiana. Her ability to read minds keeps the normal people away from her. They fear her ability, even those who claim not to believe in it. However, the vampires and other supernatural beings flock to her. Her brother, Jason, has recently been bitten by a werepanther. Once he makes his first shift, Jason finds that he enjoys his new ability. Problem is that a sniper has begun shooting the local shifters and Jason's new brethren suspect he may be the shooter. Sookie and her friends have until the next full moon to find out who the real sniper is. Sam, Sookie's boss, is one of the shifters who has been shot. Unable to tend his bar, Sam has Sookie go to Eric for a temporary bar tender. Charles, a vampire, begins work the very next night. Charles is soon protecting Sookie. Seems someone is trying to kill her for simply associating with supernatural beings. If all this is not enough, the local packleader has died. Sookie must attend the funeral, as well as, witness the competition that will select the new packleader. This is the fifth Southern Vampire book; all of these stories about the adventures of Sookie Stackhouse are enjoyable light reading. She is a delightful character, forever a wise innocent being overtaken by events that somehow always manage to get out of hand. The characters we have come to know are here once again:Bill is protective, Sam is supportive, Eric is there to help out as needed, and Alcide is complicating everything. Tara is still living on the edge, and Jason is still in trouble.Somebody is shooting shapeshifters, old problems are coming back to haunt Eric, Alcide's father wants to be head of the werewolf pack, and Sookie is in the middle of it all.It's a good story, and a good addition to the continuing saga. So why didn't I enjoy it as much as I did the others? It seems to me that this book lacks much of the joy and good humor that made the first four so memorable.It doesn't bubble.Sookie seems a bit tired; her sense of wonder isn't working well, and her curiosity isn't as relentless as it has been.Eric doesn't tease in this one; he's not his usual good-natured overwhelming self.Alcide seems actively unpleasant and manipulative.Simply, the whole book is not as much fun as the series has been until now. The negative does not overwhelm the good.I still recommend it. I do hope that there will be more, and I hope that they will regain the brightness of the earlier books. Harry Potter and the Order of the Phoenix is a marvelous edition to J.K. Rowling's library, and well worth the long, long wait and the number of pages. Although the book is the darkest novel yet in the Harry Potter saga, it reads like one of the earlier editions, happy and light with plenty of humor thrown in compensate for the overall dark tone of the novel. The plot is complex and involved, but never difficult as Rowling takes time and trouble to make certain everyone understands the mystery before moving to the next part. 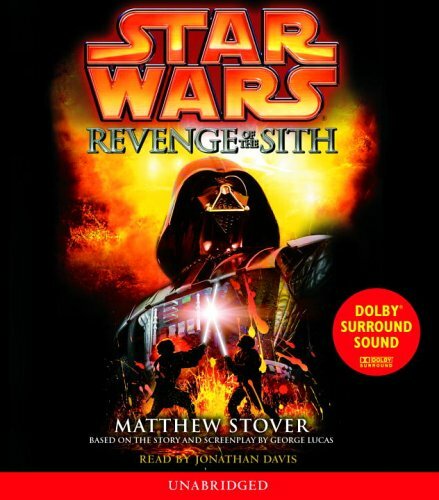 Many characters in this book become more well-rounded, and their actions are better justified. Professor McGonagall becomes a much more likable character, and we get more insight into the reason behind Professor Snape's hatred of Harry. We also see Harry's love life blossom somewhat as he ages, and he goes through typical teenage strife with his friends, Ron and Hermione. The ending is an exciting, heart-in-your-throat adventure that is sure to delight Harry Potter fans old and new. My only advice for reading this book: Don't make this your first Potter foray. Read the other books first. Rowling doesn't explain every detail from the first ones; she just assumes you've read them and doesn't bog you down with details you already remember (if you've read the first four). 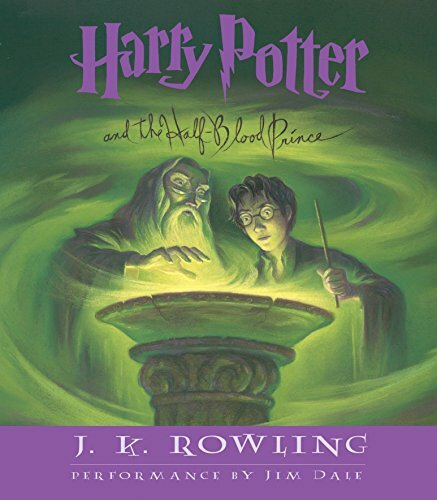 Basically, this is a very exciting book that well lives up to the Harry Potter saga and is sure to delight the many legions of fans who have waiting with bated breath for the newest edition. Book Five: My Fondest Dreams Realized. At the end of book 4, I like most others found myself wishing one thing: the fifth book. It was a far greater delay than i wanted, but it was worth it. 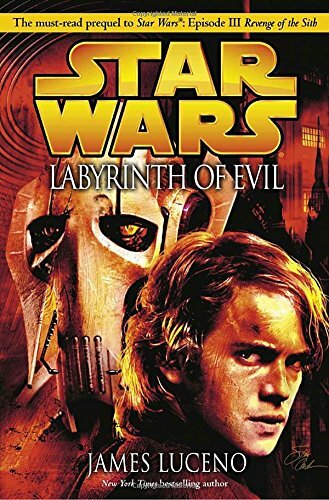 This is the Best Book in the Series. Harry is finally growing up and his questions are finally getting answered. HP5 really made me wonder what happened to JK Rowling to make her paint the Ministry of Magic as such dangerously and willingly ignorant fascists. 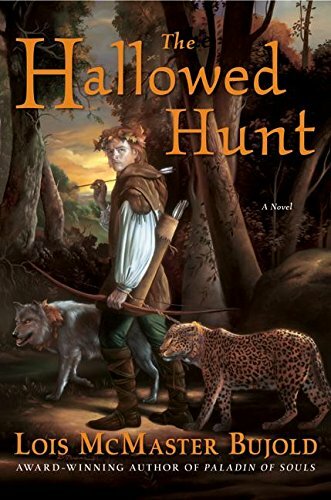 The disjointed often poorly paced book 4 was full of a lot of passages where i wanted to slap Harry around for being such a whiner. Not So Book 5. The conflict is shaping up beautifully. It feels like this is the "Empire Strikes Back" of the Harry Potter Book: grim and full of white-knuckle tension, and not the funniest or easiest episode, but its the finest crafted and most important episode. I thought Maybe JKR wouldnt beable to keep up the passion, angst and beautiful craftmanship of the first few books since they were written when she wasnt rich and famous etc. I thought fame might pull the spark out of the books, but i was wrong. If anything she's honed her craft even more. What always struck me about the Harry Potter boos was that there was a legitimate, tangible sense of horror underlying the bad events. Often in children's books the bad stuff is contrived to give the main character something to Do, not so Harry Potter. Book 5 makes it clearthat death is very real, and it affects everyone, and that evil is real and present, And OFTEN done in the name of good. Book 5 ups the ante, making it even more important to read. It is not so much a 'children's book' and more a book about universal struggles that we in which all need to immerse ourselves. I'm a huge fan of the horror genre and am a huge King fanatic, but I couldn't resist reading this book after seeing the Third film. I'm 17 and I found unbelievable that these books are aimed at 9-12 yr olds. The vocabulary is fantasic and Ms Rowling is quite an inticing writer. 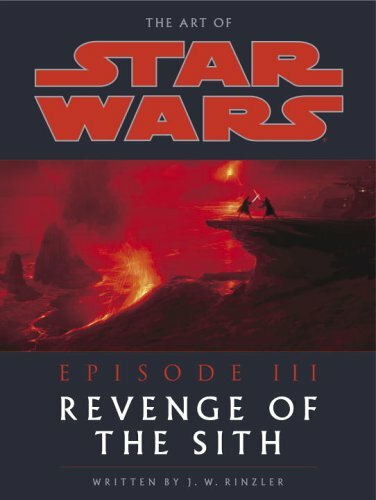 I should have read the fourth book first, that's a little advice for the rest of ye, because now I know the general outcome of that book - so I think I'll wait for the fourth film rather than read it. There's a good reason most of us cannot recall being 15 very well and the latest Harry Potter book will show you why: his heroic behavior is being marred by hormones that make him confused, angry, and irrational. The blue cover should give you an idea of the darkness of this 5th and darkest year of Harry's schooling at Hogwarts. I was so enraptured by reading book #4, Goblet of Fire, that I paid the $30 to get an advanced hardback copy of this book. I would advise against that; it's not worth it, but is worth reading. It's nearly as long, about 700 pages, but you'll find yourself wizzing through them. The author balances action with description and lets her imagination run wild with this fantasy world. The dark tone of this book and the surprising twists will have you anxiously reading to find a good place to stop, but the evil does not let up until the final pages. Phoenixes, like the human spirit, rise perpetually, and in this book we get some long overdue explanations, but at the cost of someone's life. In this book, Harry has a complete reversal of fortune and becomes the laughing stock of the school. New characters are introduced, there is some serious espionage in this book, and the book mainly centers on the war between the Ministry of Magic and Hogwarts. We learn much in this book and even get to see Harry's dad who is less the saint then Harry has been told. The book also seems to be a scathing social commentary, in typical English style, against the government and the media. In this episode, they suddenly become unthinkably evil, twisting facts, commiting gross injustices, physically hurting people, and manipulating public sentiment. In this novel, the good guys get put on trial for crime, and it is mindboggling. Overall, a very imaginative book, different in tone from the rest, that both captures teenage angst and the disruption to daily life caused by the Dark Lord. If you love the series, buy it but don't rush to do so. It's not as good a read as the other books, and is very dark, almost depressing. It's all bad news until the last few pages, and the kids cause some terrible trouble this time. I have always taken issue with these stories as "childrens literature" for their moral content and bad role models. These kids break rules, lie, sneak around, and singlehandedly confront the dark lord on a regular basis. Perhaps this is why China has banned the books. Well, I think that Rawling has simply put aside these moral issues to tell a good, compelling, imaginative story. Harry is not every man, he is a very special kid, a sort of christlike lowliest child. If the kids were constantly telling Dumbledore what was going on, the story would get dull. In this book, you get a good sense of how annoying it is to constantly have adults intercede. And of course the overall moral tale is that good always triumphs over evil. In the end, it is for parents, not books to teach values. 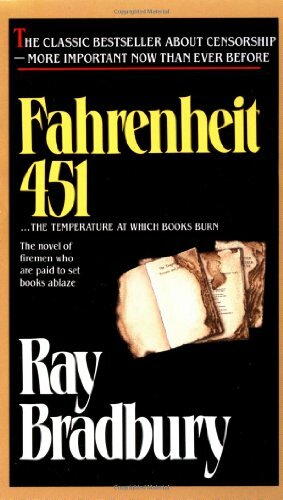 Bradbury's Fahrenheit 451, a thought-provoking book about censorship centered around book burning, seemed to get off to a slow start by following the life of the main character, Guy Montag, a firefighter who does not put out fires, but rather burns books for a living. Some of the descriptions given at the beginning of the book were confusing at first, like those of the parlor walls, which really turned out to be futuristic video screens, and the mechanical hound, a robot which is used to track and kill people by the chemical scents they leave behind. However, as I got into the book more, I felt that the almost boring way Bradbury wrote the introduction helps give the reader a sense of what Montag's life was normally like, and allows the reader to see the vastness of the changes he encounters in his lifestyle. I also felt that as the plot thickened, Bradbury did an excellent job of giving Guy human qualities, such as making him impulsive and sometimes hot-tempered, and showing how he strove to do what he thought was right. His interactions with other characters are very real, especially those with his boss, Beatty. When Montag starts to regret burning books, and starts to perceive that there is more to the books he burns for a living than he and most other people believe, Beatty senses Montag's change in emotion, and does his best to set him straight, telling him that books are only filled with useless thoughts and people and places created by writers that are long gone. This is the main conflict that leads to the rising action of the novel. Montag is told that books are bad, and thus by human nature becomes even more interested in them. However, the conflict is greater than this, as it is not just Montag versus Beatty. Besides also trying to get his ditsy wife interested in books, Montag faces an internal battle with himself. He has to weigh the consequences of getting caught with books with the rewards of what he could possibly gain by reading. I especially appreciated the effort Bradbury went through to bring the feelings and emotions Montag goes experiences to the reader by his word choice, and the way he showed the reader how Montag was playing a sort of tug-of-war in his mind. I think Bradbury did a good job surprising the reader whenever possible, such as with Montag's actions. Just when you begin to think that you might see how Guy will act in a situation, Bradbury twists the outcome, keeping you on the edge of your seat in some cases, or at least wondering what will happen next. Such is the case with Faber; a man Montag becomes friends with who also has interests in the forbidden world of books. Just as Bradbury leads the reader to believe that Faber will be somewhat in control of how Guy responds to the remarks of his boss Beatty, Montag leaves Faber in the dust, taking matters into his own hands and acting on impulse. Bradbury uses a serious tone throughout the novel, which helps to bring forth the importance of the subject at hand. I liked the serous way in which Bradbury presents the world Montag lives in, a world without books or leisure reading material. This made me question what I would do if I were in Montag's situation, even though in this day and age it is quite unlikely that books would suddenly be totally banned. It really got me thinking about censorship in general, and how at times in the past we made steps toward making Montag's world a reality by banning books from libraries and bookstores. On the other hand, in brought to light the fact that the bans placed on many books were lifted after such acts were declared unconstitutional, which somewhat renewed my faith in the ability of our government and society to recognize and correct some of its mistakes. 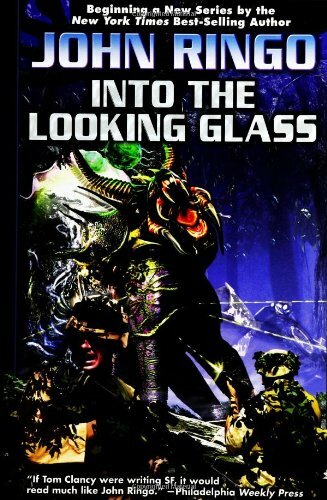 The novel is still thought provoking, however, because no matter what kind of society we live in today, we can all imagine living in one that is totally different, one we do not feel comfortable in, one that we let our imaginations run wild in creating it, making it painful to think about let alone live in. I enjoyed how the novel made me realize how many freedoms we have nowadays, and how they can easily be taken away. Without spoiling the ending, I just want to say that I thought it was very fitting. As Granger says near the end of the novel, "You're not important. You're not anything." Montag and his group would have appeared to be insignificant to any unsuspecting stranger, even though they were the keys to a vast world of knowledge, one they hope someday the world will get to experience again. Though I do think that Ray Bradbury did a very good job of writing Fahrenheit 451, I feel that it has a few weaknesses. First would have to be a shortness of description, especially at the beginning of the novel when the reader is trying to form an image of the world Montag lives in. His short initial description of things such as the parlor walls and the mechanical hound left me somewhat confused about what they really had to do with the novel. Another case of confusion occurred with the mechanical snake that was used to empty Montag's wife's stomach and change her blood while she was sleeping after Montag found out that his wife, Mildred, had swallowed some thirty sleeping pills. It is not so confusing how this event happens but rather why it happens, and it does not seem to be important later in the story. Despite some weaknesses, the main point of Fahrenheit 451 is clear, and makes the book a definite "must-read." Guy Montag is a firefighter who burns things. Specifically books, and the houses they are found in. He lives in a state where books, and possesion of them, is illegal. Guy enjoys his job until the day he meets Clarisse McClellan. Clarisse makes Guy doubt his motives and he soon becomes daring enough to break the law and read a book. He finds he loves litereature, he keeps steals books from the houses he's burning and reads them at home. He finally goes as far as to skip work one day, and his Fire Department Captain, Captain Beatty, shows up at his home. He tells Montag that it's normal for a Fireman to go through such doubts at a stage in his life. Then proceeds to go through a long monologue as to the history of banning books. According to him, special interest groups objected to books that criticized, belittled, or undermined their causes. For this reason, books became more and more neutral in order to avoid offending anyone. However, this still wasn't enough. So society agreed to outlaw books. Montag is not convinced and begins to plot with a professor he had previously met named Faber. They plan on planting books in the houses of Firemen as a way of discrediting the profession and destroying the governments unit for censorship. However, thing go when the alarm sounds at the firestation and Montag goes to the last house he'll burn in is career, his house. Unlike its fellow dystopia-themed predecessor, 1984, much of Fahrenheit 451's depiction of modern society came true almost prophetically. Although not outlawed, literature now holds a narrow audience. And the brainwashing televisions Ray Bradbury depicts aren't far off of today's one-eyed-boxes. Ray Bradbury's adjectival descriptions in this book are strong, even at times; on occasion, one could even say they became monotonous. However, the books never crawls forward for to long; the progress, although not quick, still moves fast enough to keep the reader's attention. Overall a strong novel censorship. Although not perfectI would recommend Fahrenheit 451 to any reader interested in either mere science-fiction, or one actually interested in a political criticism of censorship. Both will find their time well spent, the latter will definitely get more out of it, as for the previous. . .
Maybe you would enjoy Star Wars?? I've heard so many people say they've been influenced by Bradbury (writers and others) and I can see why--this is simply a great novel. Bradbury is really a national treasure. If you ever get the chance to hear him speak, don't miss him. His stories are priceless. (Especially the one about his anger at people telling him for years that he was crazy to believe man would set foot on the moon in his lifetime. He said he called up every person who laughed in his face the night Neil Armstrong did--and pretty much laughed in their faces!) There is a fantastic one-on-one interview with him in the Walt Disney Tomorrowland-Disney in Space and Beyond DVD (interviewer is Leonard Maltin). His friendship with Disney (a fellow futurist) was fascinating. But it's the sense of wonder and child-like curiosity and optimism (not childish or blind optimism as he clearly understands what can create a dystopia) that make you realize why he is a national treasure. He's inspired me to look to the future, to look up, to look forward, to always be wary and alert to what can go wrong, (and the dangers of closed or lazy minds) BUT not to let any of that stop you--that anything is possible in a world willing to believe, in a free world with open and curious minds. Though I was long familiar with many of Bradbury's works, I had put off reading "Fahrenheit 451" in favor of other books until a friend lent it to me recently. After reading it, I'm angry with myself for having taken so long to pick it up. This book is a fantastic tale of a future society that abandons intellectual development and destroys its books. Like all great literature, it offers insight into our society today despite having been written over a half-century ago, and it continues to reward reading today. This book is more than a seminal work of dystopian literature, however; it is also one of the most elegant meditations on the value of literature in modern society that I have ever read. In envisioning a society that destroys books, Bradbury has to explain what is lost as a result. His answer, as we see in Faber's expositions during Montag's visit, is the exact thing which makes this book worth reading - the insights we gain into our own world and our own lives through reading. Integral to this process, of course, is the fact that people must read them and put what they take from them to good use for a society to thrive; as Bradbury notes, the first step towards the world of his novel was taken when people stopped reading. It is this message which makes "Fahrenheit 451" essential reading, especially in a society where entertainment today bears an ever-closer resemblance to the noise-dominated media depicted in Bradbury's nightmarish future. How does someone miss the point of a REVIEW by such a vast margin? I agree with your and Mr. Bradbury's alarm about the state of politics and culture, but my review was not concerned with his message, but with his storytelling. Just because one agrees with an author's stance does not mean that one has to like the way in which the author conveyed that stance. Mine was a literary critique, not a political one, and those who rate this book so highly simply because of the gravity of the message are deeply misguided. Message aside, it's an awfully cheesy and childish book. Admit it. HARRY POTTER AND THE GOBLET OF FIRE is the fourth installment of the Harry Potter series and (so far) is also the longest and most dark. 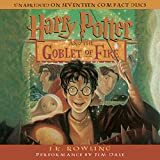 I had enjoyed the previous three books immensely, but had heard so many conflicting reviews about GOBLET OF FIRE, that I didn't know what to expect. 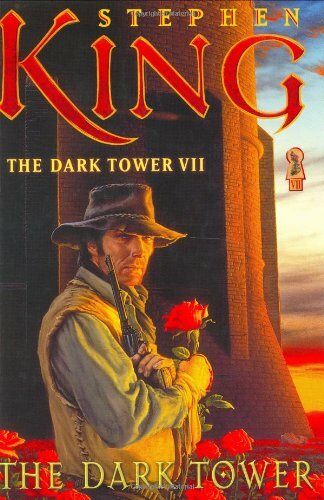 After finally finishing the novel, I found that it was a most intriguing read and has become my favorite in the series so far. The book begins during the summer before the fall term starts at Hogwarts. Harry joins the Weasley family and Hermione for a trip to the World Quiddich Cup. The tournament is marked by strange events which foreshadow the dark horrors and adventures that lie waiting for Harry and friends back at school. The book builds from the opening, sinister and puzzling chapter to it's conclusion (over 700 pages later) when a line in the sand is drawn and the forces of good unite to stand against the resurrected Lord Voldemort. Whereas the previous three novels seemed self-contained and concluded in themselves, GOBLET OF FIRE ends on a cliffhanger, merely hinting at the huge struggle facing the forces of good. I have a feeling things are only going to become more dark and depressing for Harry and the gang. Ages 9-12 shouldn't get to have all the fun! "The Goblet of Fire" is a terrific story for anyone who has ever wanted to fly or gazed longingly at a poster of a favorite athlete, wishing that athlete could come to life. JK Rowling makes it happen and if your imagination hasn't been too stifled and trodden down by the concerns of everyday life, then this book might be for you, no matter what your age. "The Goblet of Fire" is exciting, funny, frightening and impossible to put down. I kept telling myself "just one more chapter" until I had finished the final 450 pages in one fell swoop! The hype and hyperbole proved to be fully justified and Ms Rowling has shown herself to be a wonderfully creative and insightful writer. As a junior high and high school English teacher, one of my main frustrations is the fact that my students don't want to read for pleasure, even when given time to do so in class. However, the Harry Potter series has renewed the hope with which I began my career 15 years ago, that books and good, old-fashioned story-telling and imagination weren't yet out of style. Thanks, Ms Rowling, for Harry Potter, Hermione, Ron and the rest of the Hogwarts gang, yes, even Draco Malfoy, the kid we all love to hate! And thanks, too, for bringing back my own junior high memories after all these years with your refreshingly honest and accurate portrayals of young boys and girls discovering new experiences and getting to know each other again for the first time. I definitely think JK Rowling has honed her craft. I did not like the original Potter book, because I thought there wasn't much depth to the characters and everthing was predictable. As of the Prisoner book, I think she has definitely improved. I liked this so much I could barely put it down. The thing that separates this book out from her first two novels is that as the characters age, the plots have become much darker and much less predictable, and this one, in particular, reads almost like a mystery novel, because there is so much left up in the air. The ending also sets the stage for future novels. I'm a thirty-something woman and I am a Harry-a-holic. Why should this fantastic series be just for kids? Obviously I'm not the only person who feels this way. I see adults riveted by this series everywhere I go. And the best thing is kids love it too! This series opens the door that many of us need, something in common with our children. It really helps us to identify with each other. Thank you J.K. Rowling! "Goblet of Fire" shows us that it is not written reverently for the little ones, however. I must warn you, there is a tragic death. I'm sure most children can deal with it, but I personally was shocked. I'm not sure I'm old enough for where this series is going, but I'll let it take me there just the same. By opening that doorway to the sad inevitability we all face, Rowling has pushed the boundaries of how we view children's adventures. We realize now that Voldemort means business and that anything could happen as he continues his quest for power. Can Harry stop him? Voldemort continues to get more powerful with every novel and Harry is only just able to stop his nemesis from succeeding with his ingenious plots to take over all the witching world and quite possible the muggle world as well. 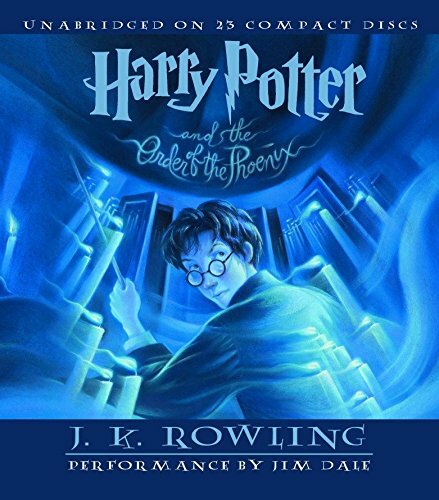 This book left me waiting almost too eagerly for "Order of the Phoenix," which I read with my 9-year-old niece who seems to cope with the terrors in this series better than I am. If you're all growed up, read this with some kids, they can comfort you when it gets scary. Often follow-up projects are a let down, especially when the original is as successful at The Hitchhiker's Guide to the Galaxy. Well, this one lives up to expectations. While looking for the question to the answer of life, the universe, and everything, our lot of characters experience more unpredictable (should I say improbable) events. Traveling through time, or even understanding how to talk about it, will really blow your mind. The restaurant at the end of the universe and the total perspective vortex are also worth the visits, although for very different reasons. And don't worry, it appears that the universe is in good hands - at least so says Trillian. Arthur and Ford's encounter with the Galgafrinchens also puts them a step closer to the ultimate question. I wouldn't start with this book. Adams has written it in such a way that the background of the first book (as I mentioned above) is really good to know. I would have given this 4 3/4 stars if possible, as the ending isn't quite as tidy as the first book; but rounding forces us up to the top mark. This book is another fun, quick read, which I think is the way Adams intended it. As great as everything else Douglas has written. But still..
CDs, and the story is read by Douglas Adams (the author) himself. it quite difficult not to laugh out loud while listening. which is that each disc is comprised of only ONE track! then you cannot resume midway if you happen to stop the disc. In this regard, the cassette-tapes excel over the CD renditions. in such a shoddy fashion. find something new each time you consume this book. "Restaurant" is the follow-up to the first one, and it doesn't disapoint. Hilarious bits like the universe's loudest band, and of course, the scene at the Restaurant is great. The ending is a bit ironic, but funny. You can quite tell that there was going to be a sequel. We still wonder at this point was the Answer to Life, the Universe, and Everything is though. (The next books tells us). Another great book that you'll laugh with. After reading the first volume, I was looking forward to this one. What a disappointment! This book went around and around and ended up no where.